Clyne Gardens are owned by Swansea Council and form a calm oasis of parkland on the edge of Swansea Bay, between the City itself and Mumbles. Clyne Gardens is one of the many hidden gems of the area and well worth a visit, especially in Spring when the rhododendrons and azeleas are in bloom. The Castle within the grounds has been developed as private flats but the gardens remain free to the public. Clyne Gardens are renowned for their collections of rhododendrons and azaleas, and each year the month of May is given over to their celebration, with teas and cakes on sale at the entrance and storytelling and open air concerts around the park. 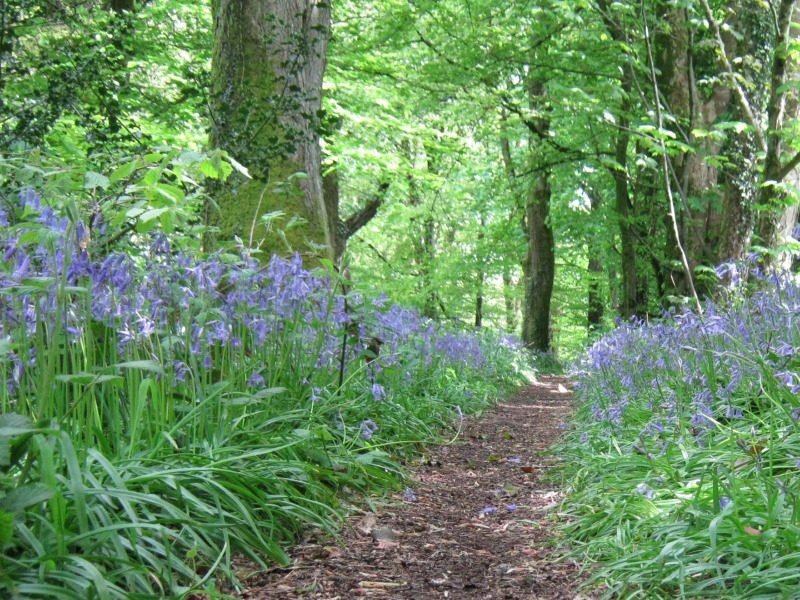 Enjoy open vistas across Swansea Bay from the top of the hill, then seek out winding pathways leading to unexpected discoveries in the wooded valley. 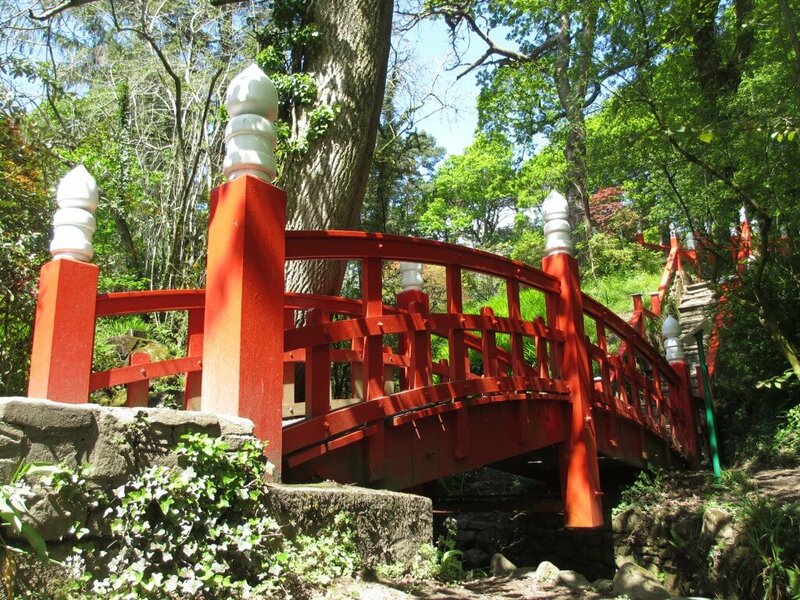 You might find the Japanese bridge by the waterfall (look out for the handkerchief tree nearby). There is also a hidden folly, and some small pet gravestones. These date from the era when the Castle and gardens were the home of the Vivians. These were one of the most influential families in the development of industrial Swansea. 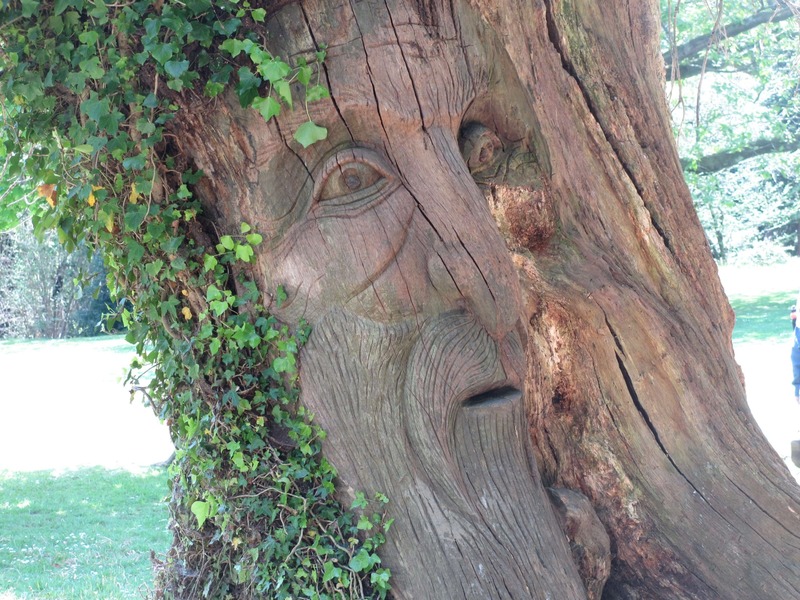 You will find something to enjoy in Clyne Gardens at any time of year. Doubtless winter sledding remains as popular as it was when the students at Clyne Castle used to “liberate” lunch trays! Summer gives great opportunities for picnics. 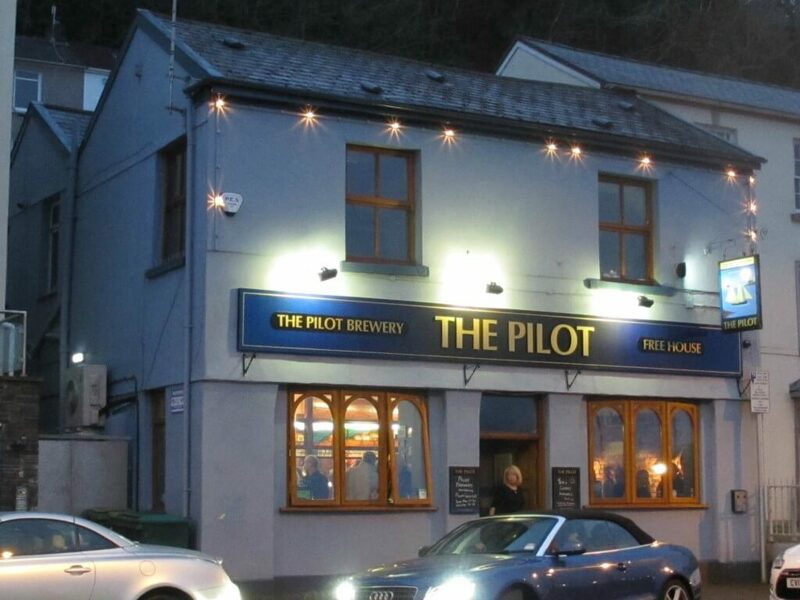 The Woodman, the pub at the entrance to Clyne Gardens, is a cosy watering hole. It provides meals as well if that fits with your itinerary. If you have small children and a sunny day, then they might enjoy a story around the story tree. Later they can take a paddle in Blackpill Lido just across the road. 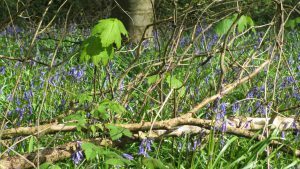 You can also combine your trip with a walk through Clyne woods, where you will find bluebells and anemones nestling among the trees. Make sure you bring a camera and capture the energy of the gardens bursting into bloom. 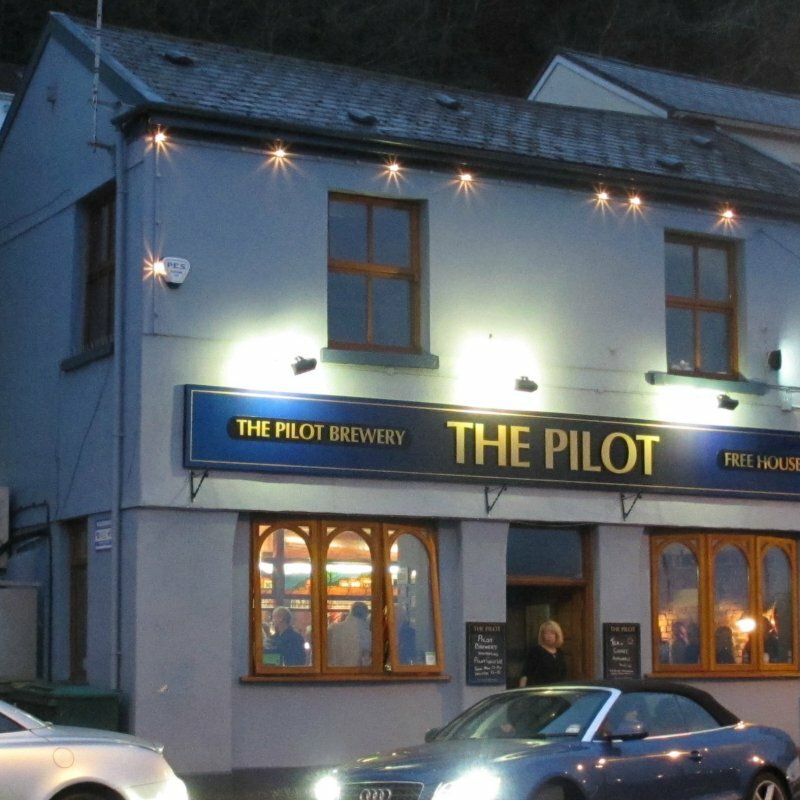 There are a number of parking places reserved next to The Woodman pub off the Oystermouth Road. There is also a council car park at the bottom of Clyne Cycle path. 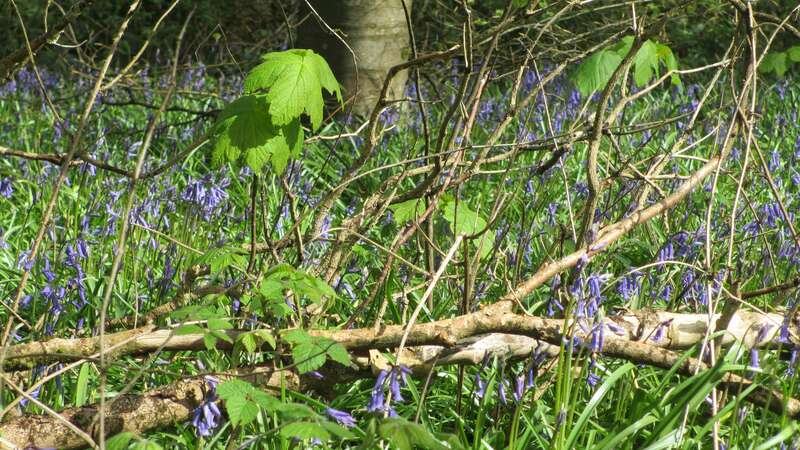 Alternatively you will find a small car park at the top of Mill Lane which gives access to Clyne Valley. There is an entrance to Clyne Gardens just below the Castle entrance. 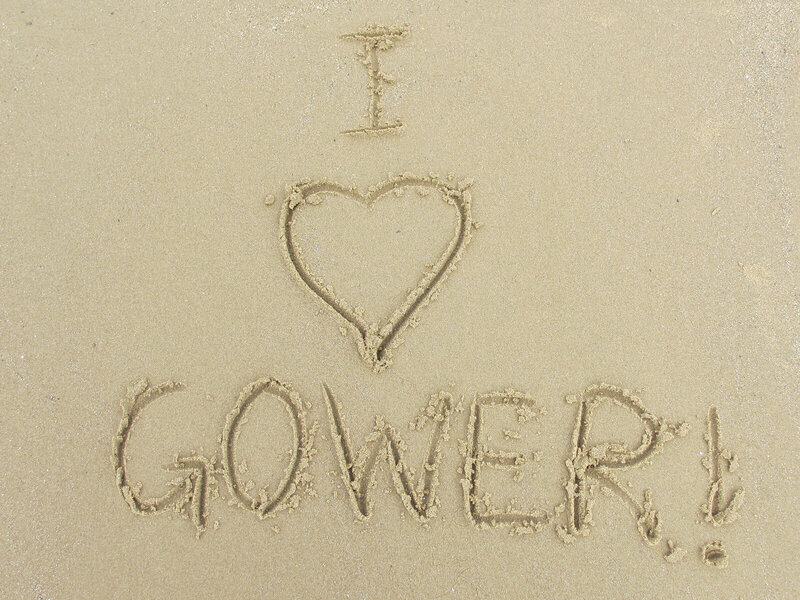 If you think you might like to visit from further afield and you need somewhere to stay may I suggest Gower Edge (www.gower-self-catering.co.uk). This is our self catering holiday home in Dunvant which sleeps 8 in comfort and welcomes children and pets. If you enjoyed this post, please take a few moments to comment and share with others. Thanks for looking! 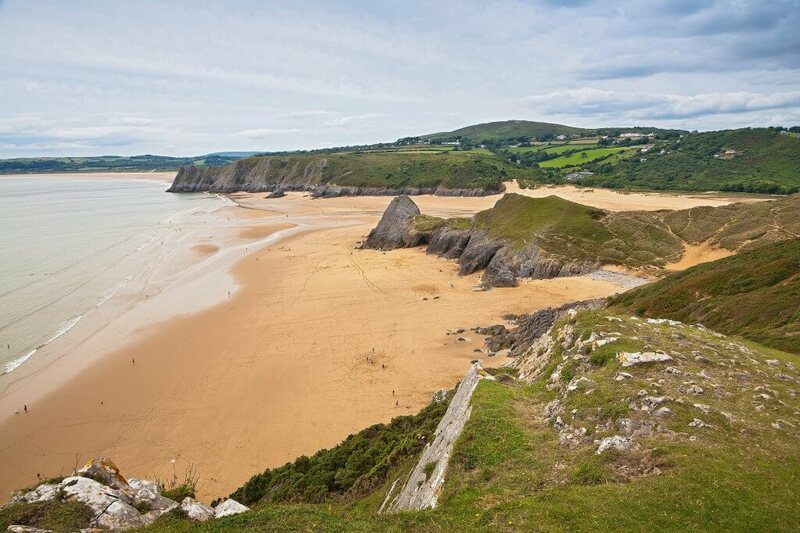 The Gower Peninsula is becoming increasingly widely known for its long stretches of beautiful sandy beaches. 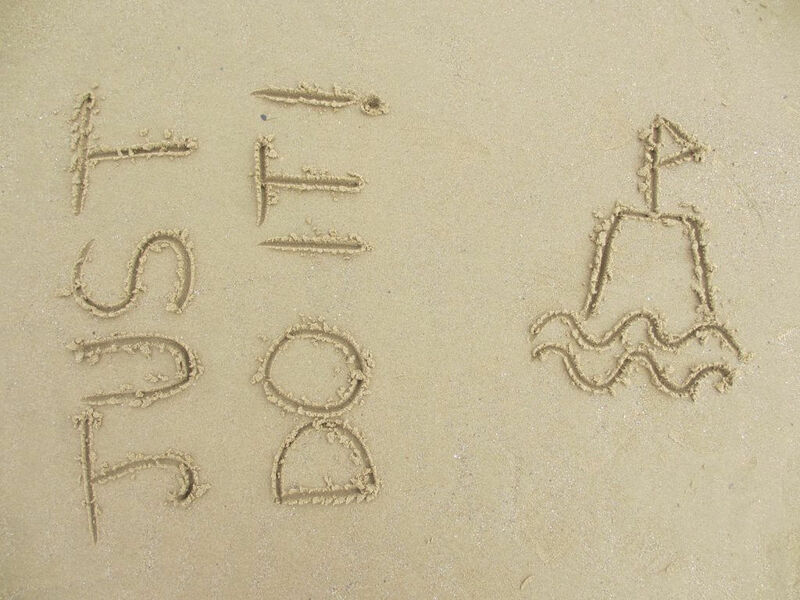 You can walk on them, draw on them, build castles and dams with them – or, as today – send messages with them! See you there! 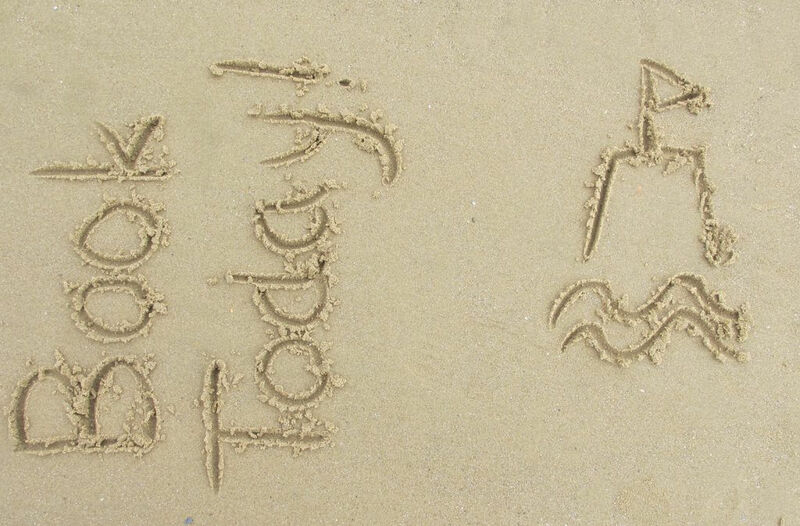 … the scrunch of the sand between your toes, the sun on your face! 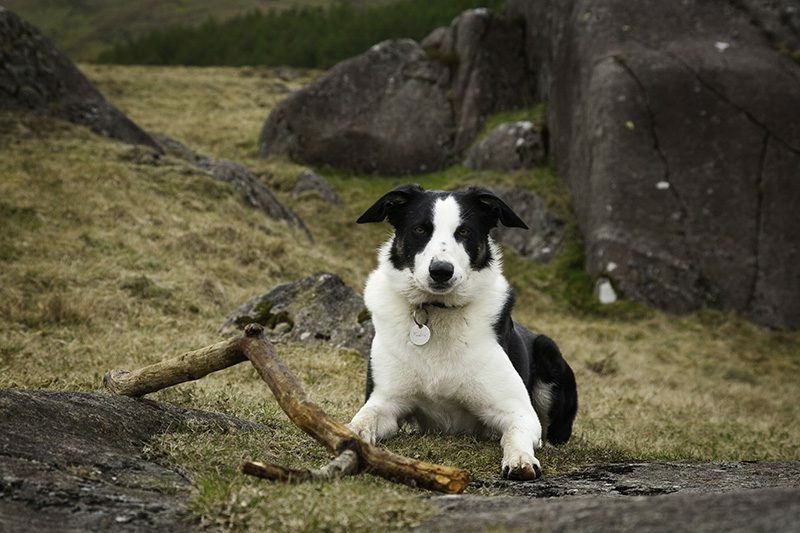 … time to relax, kick back and breathe in the fresh air. 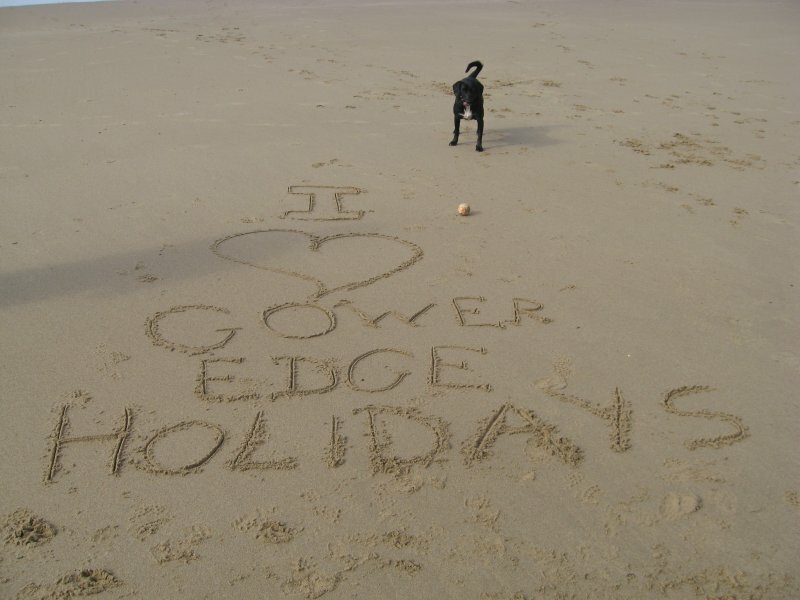 Gower Edge sleeps up to 8 people in comfort in four double bedrooms… and we’re dog friendly! 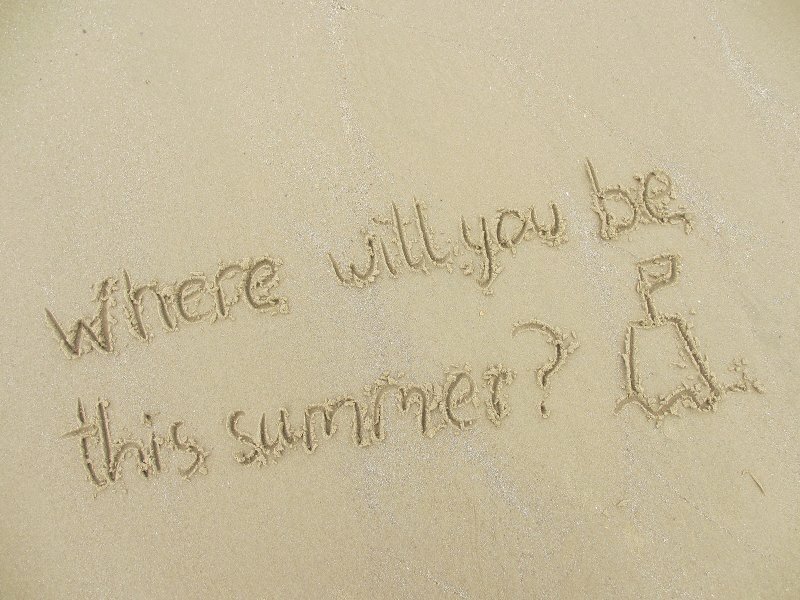 Check availability and prices by clicking the link below … and you could be sand writing too! 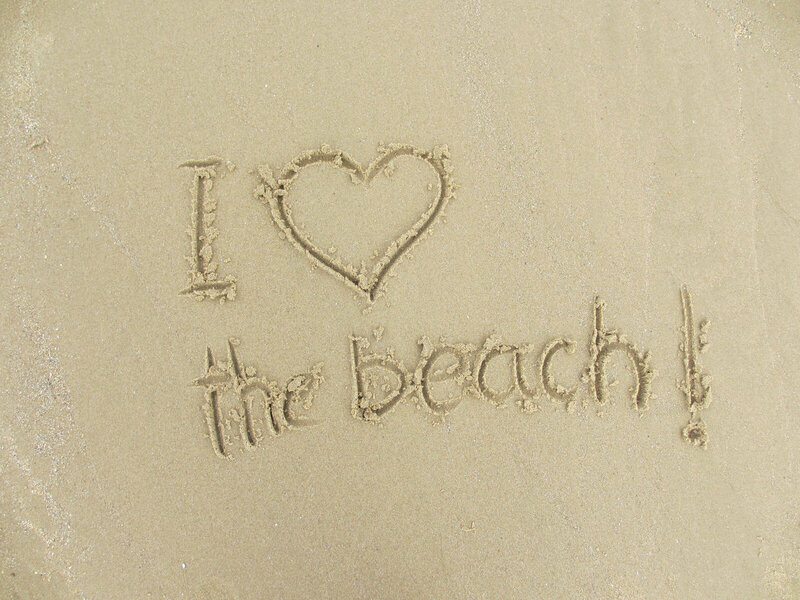 Self catering – 3 reasons to love it! 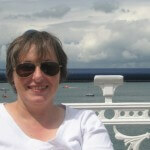 There’s no doubt about it, the reason I love self catering is for its flexibility and comfort. You can be as active or laid back as you want to be without fitting around breakfast schedules; when you want to make plans with your travelling companions you can enjoy a beverage sitting on a comfy settee rather than a bed; if the weather lets you down for a day you are protected by your own solid roof and walls and if you have a furry friend or two they can join you on your travels. I’ve enjoyed road trips from hotel to hotel and it’s fun camping, but there’s nothing quite as relaxing as settling into your own domain for a few days and becoming part of the community. 1. 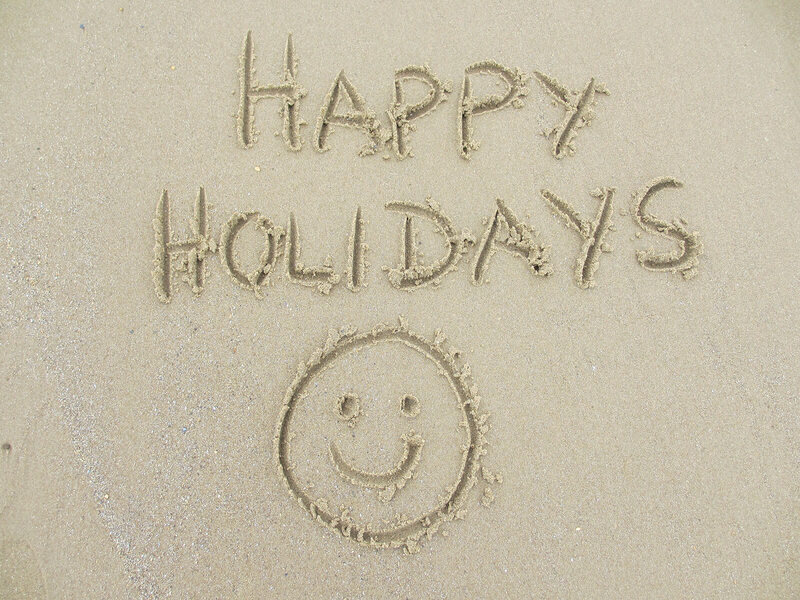 Self catering helps you meet up with friends and family. One of the joys of our large house when we lived in it was getting a tribe together for a weekend. 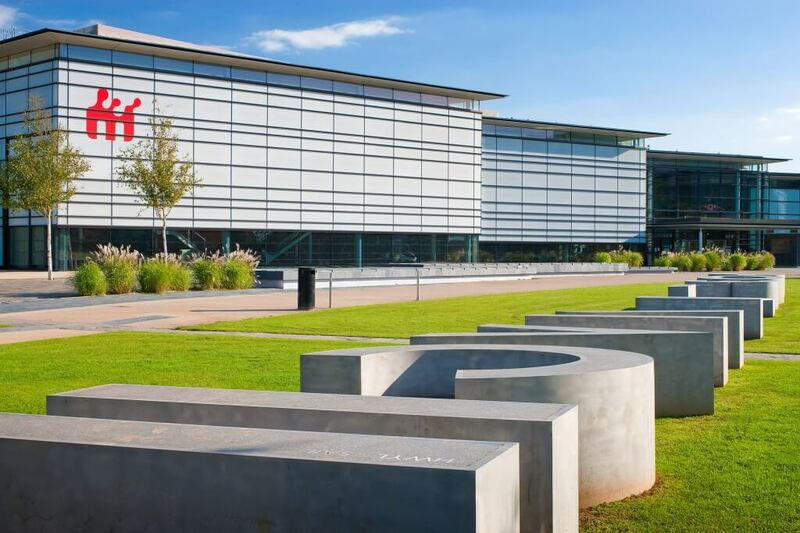 Lots of children running around, plenty of people to muck in with cooking and child-minding and lots of space to chill out and catch up with news – communal living at its best. Having a house with enough space to absorb that many people was one of the elements that made it work so well and sharing a holiday or short break with friends and family in a larger house can ensure everyone has a great time whilst keeping their own private space. 2. Self catering keeps meals flexible, affordable and fun. No one enjoys a huge cooked breakfast more than I, but there are limits to the number of these the human body can take on a daily basis without falling into a deep slumber and missing the holiday! Self catering keeps eating as flexible as it is at home. Cooked breakfast every day if that floats your boat, a cup of black coffee and everything in between for the rest of us. Packed lunches avoid searching, queuing and waiting at cafes and restaurants and can be quickly assembled from what lies around you in best Blue Peter style. 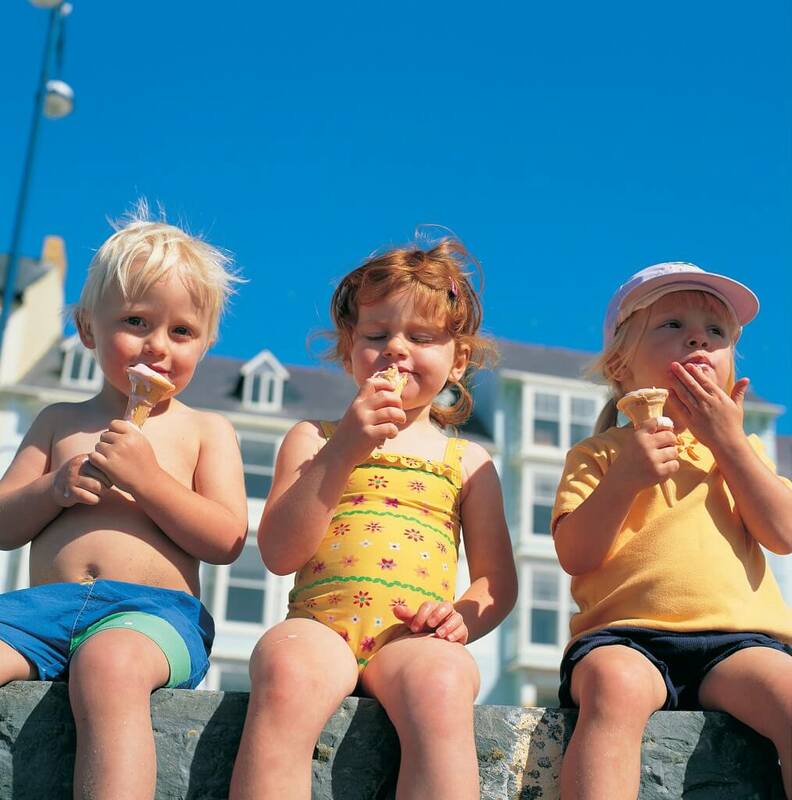 Take, for example, the Scooby Snack – staple diet of our beach trips when the boys were small. We are blessed in that our local corner shop sells fresh bread and a small range of fresh fruit and veg, so this became a quick and easy preliminary to setting off – a promise of the day to come! If your prime reason for going on holiday is to leave the kitchen behind nothing says you have to set foot in it on a self catering holiday. There are many marvelous eateries in the Swansea and Gower area, delicious Take Away’s on the doorstep and you now even have the option of a chef cooking in your own home (more of which in a future blog). We usually do a bit of both, which helps spread the budget with two strapping teenagers to feed. What is your preference? 3. 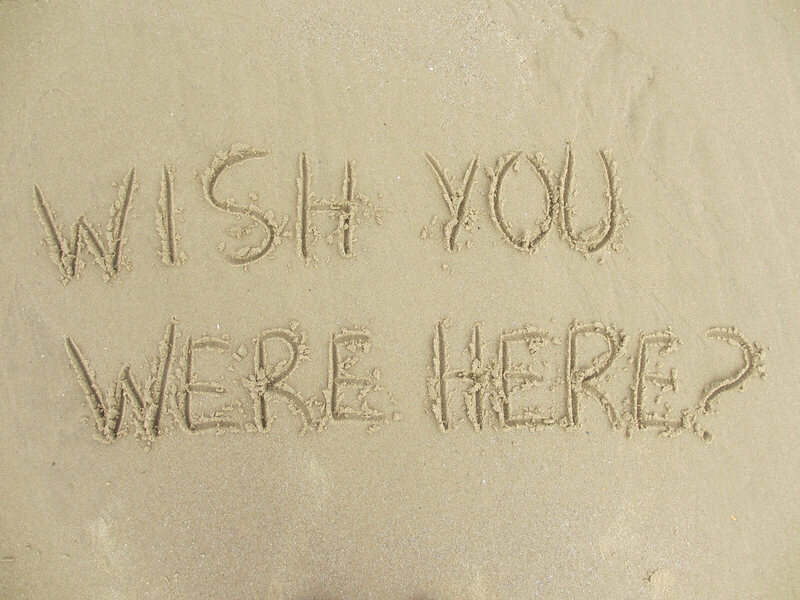 Self catering allows you to do what you want, when you want. Trying something new keeps you young and makes a holiday stand out from the crowd. 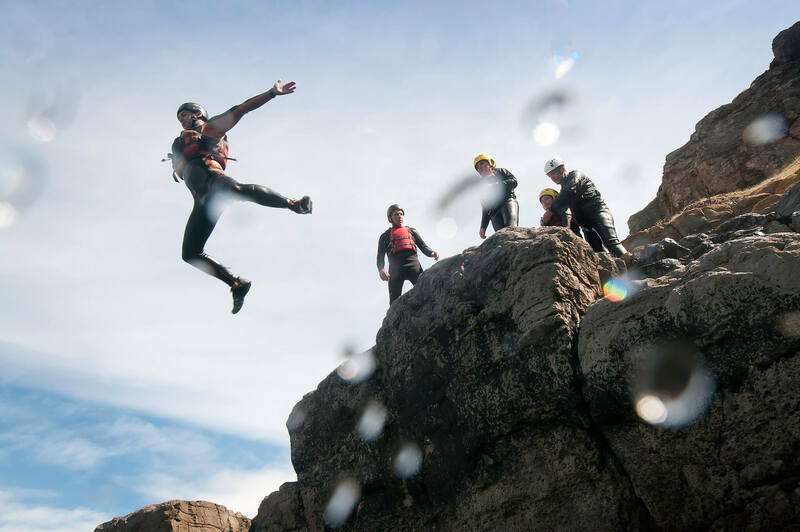 We have a wealth of activities around the Gower area and this is ever growing as we become increasingly known as a tourist destination. 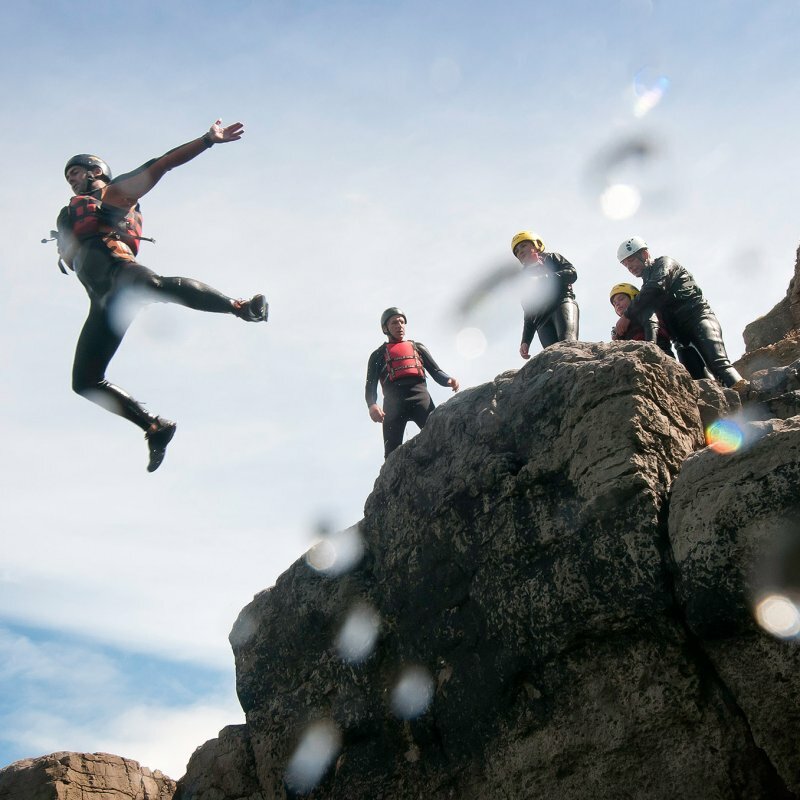 Try coasteering or have a taster surf lesson; book a game of golf or take a photography course; try your hand at archery or learn how to make chocolates. 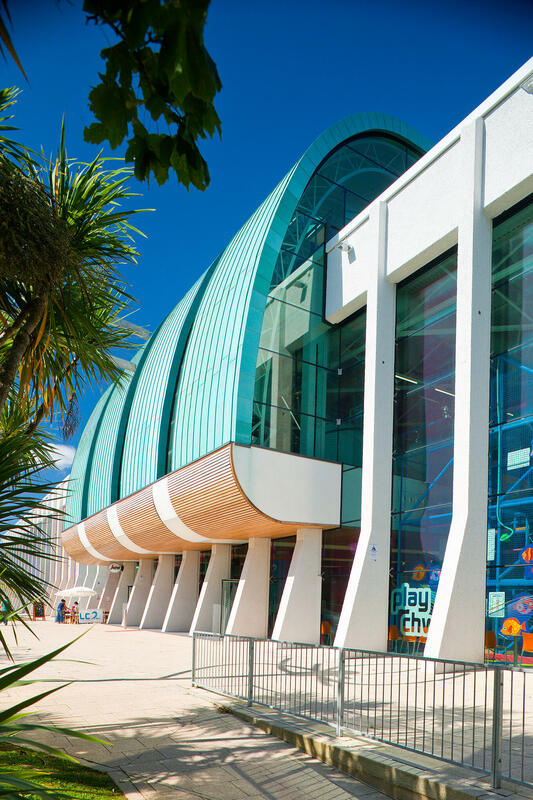 Mix and match with visits to local attractions, walks along the cliffs and building sandcastles at the beach and you can tailor your perfect holiday from a stable base where you can put your feet up at the end of the day and share your experiences. Staying at a self catering home from home means that the daily acts of living can fade into the background whilst your new surroundings recharge your batteries. We hope to make your stay at Gower Edge as comfortable and easy going as possible and we are fortunate to be sited in an area which is renowned for recharging batteries. 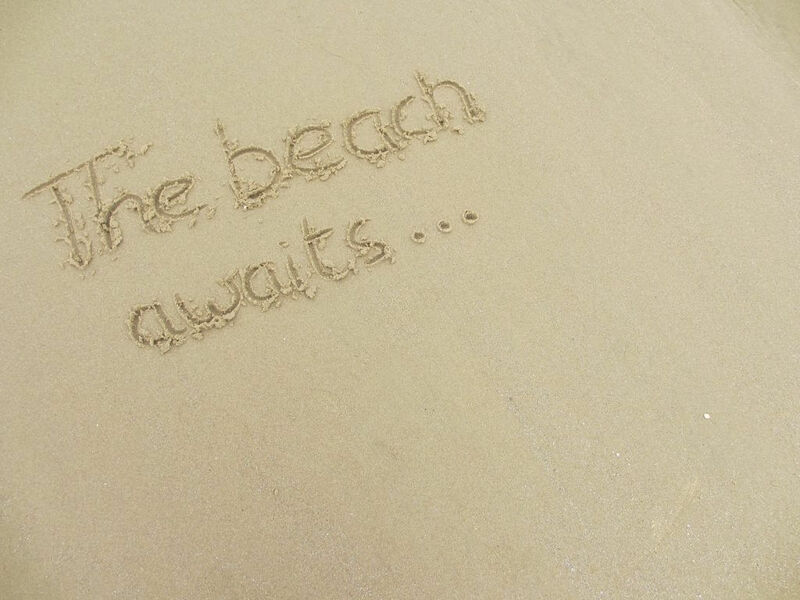 Perhaps we’ll see you here soon! As an anxious first time blogger I crave your comments so don’t be shy! 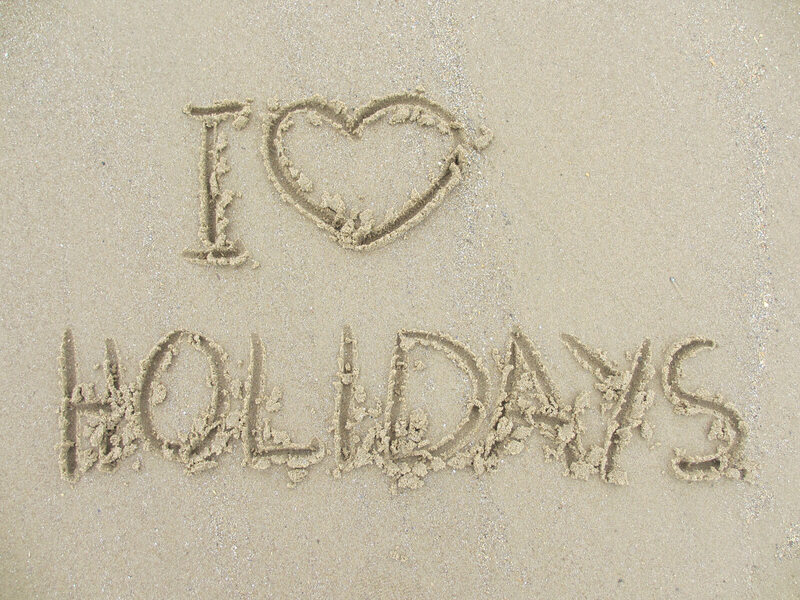 I’m waiting to hear about your favourite tips for a happy self catering holiday or memories of great experiences so please share them below. Thanks for looking! 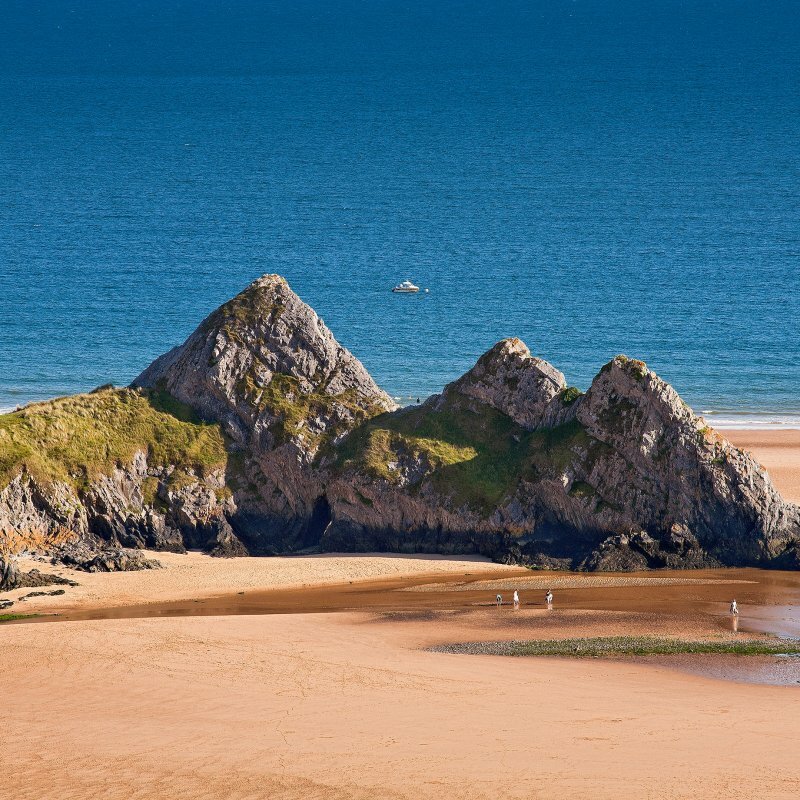 Three Cliffs Bay – Time out! 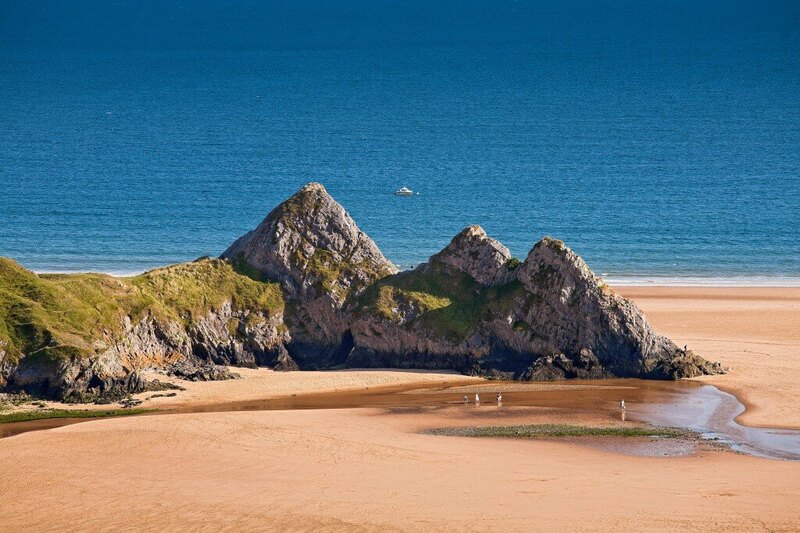 My first visit to Three Cliffs Bay will remain forever associated with guilty pleasure. It was not long after we had moved to Swansea. My husband was a Warden at one of the University Halls of Residence and I was a newly qualified teacher at the start of the May half term. I dropped my husband into work after lunch and picked up a student friend who lived at the Hall for the return journey. A pile of marking awaited me and he was returning to further revision for summer exams – the sky above us was azure blue and went on forever. Somewhere between the University and the Hall we “missed” the turning and ended up at Three Cliffs Bay. I can still conjure memories of the warm sun on my back and the smooth sand between my toes during our unscheduled walk on that glorious late Spring day. OK, it’s not Fifty Shades of Grey but we felt naughty enough taking a couple of hours off work – more innocent times maybe! 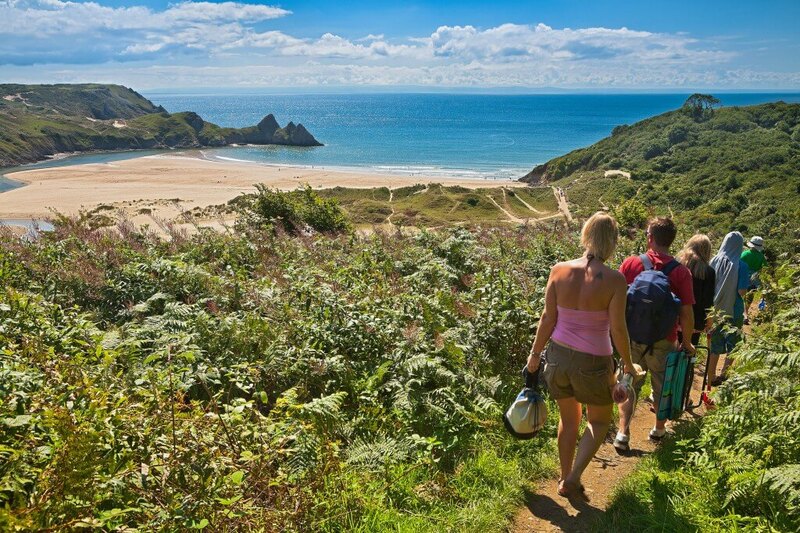 Whether you are on holiday or sneaking a short break from work yourself, Three Cliffs is a lovely stretch of the Gower coast to explore. There are a number of routes which lead down to the bay, all require a moderate walk so sensible footwear is suggested. The route from Penmaen (shown above) affords pretty views over the valley, with it’s meandering river and famous cliffs in the background as you approach. For the more sedentary, there are a number of viewpoints from the road (A4118) which allow you to view enjoy the cliffs from a distance and in passing. It is difficult to get a bad camera angle on these iconic rocks, so click away and expose your friends to this little area of happiness. For those with an interest in the geology of the area, the Geological Society have provided a wonderfully detailed explanation of Three Cliffs Bay geology, keen enough to start with a description of a rocky outcrop by the telephone box in Penmaen and then guiding the reader down and around the bay itself. 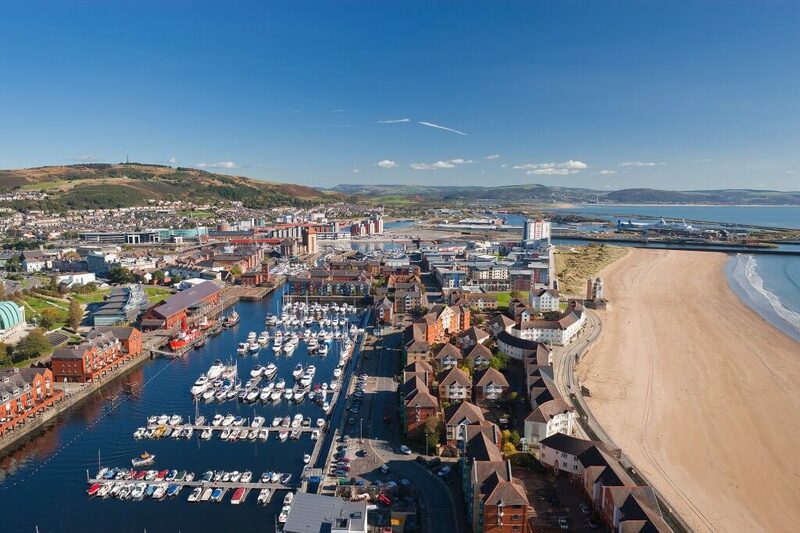 In addition to Penmaen, it is also possible to reach the bay via walking routes from Parkmill, where again parking is available. 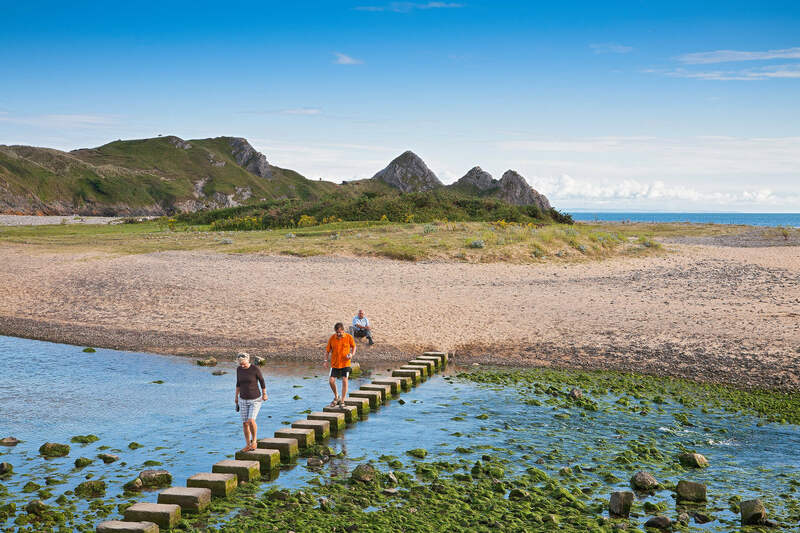 If you approach Three Cliffs Bay from either of these routes you will have the added fun of using the stepping stones to cross the river. Go back a forth a few times – stepping stones are not that common in life and you should enjoy them while you can. Then of course you can take your shoes off and have a nice paddle (to remind yourself just how freezing river water always is compared with the sea!) and build a dam or two. 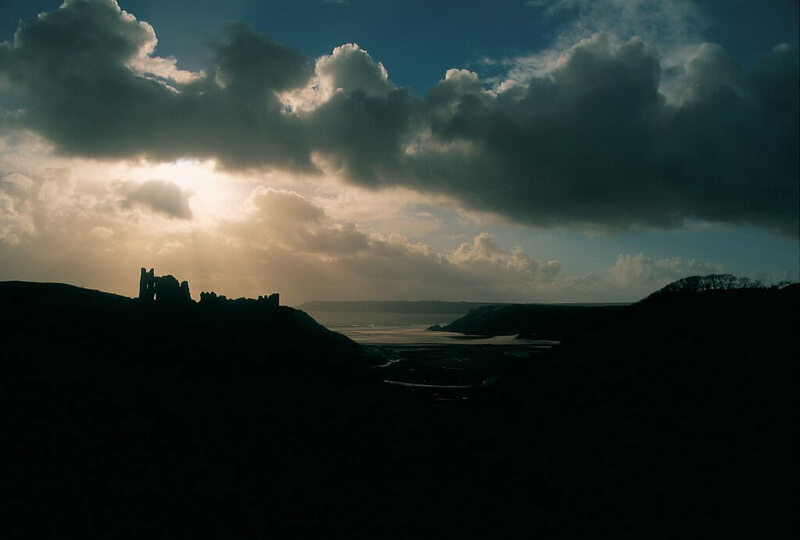 Pennard Castle provides a dramatic addition to the skyline on the inner edge of the Bay, as if any more were needed. David Ross has provided a detailed background to the castle for those who would like to understand it’s history, and it is a beautiful location to stay awhile and enjoy the vista. 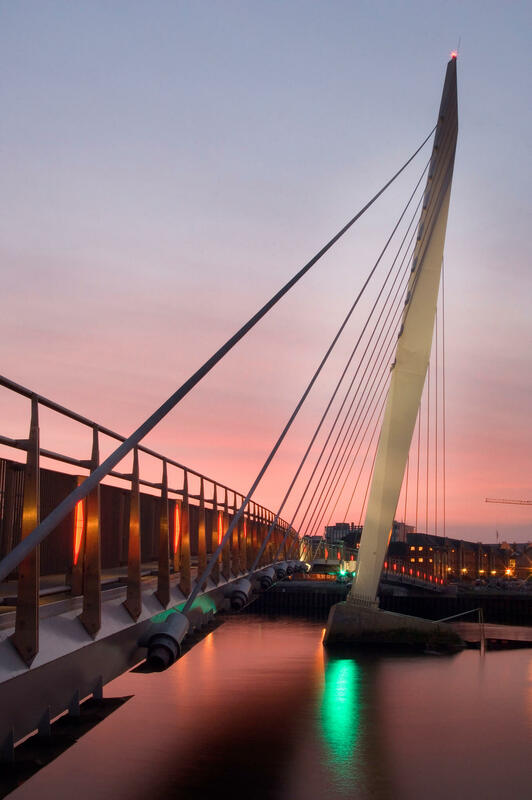 As he suggests, the route from Parkmill is a good one to follow if you would particularly like to visit the castle itself, otherwise, cast your eyes upwards as you make your way to the seafront and you will have a great view of it on the horizon. 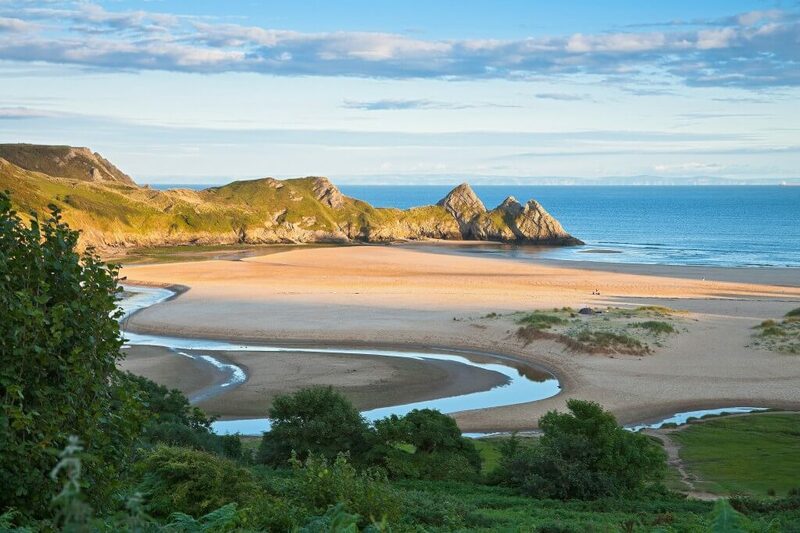 The third common way to approach Three Cliffs Bay is from the village of Southgate. There is a large National Trust car park here, a good place for a picnic with lovely views across the Bristol Channel to Devon. Three Cliffs lies at the end of the cliff walk as you turn right out of the car park with the sea in front of you. The National Trust have thoughtfully provided a walking route on their site which you can download but keep walking with the sea on your right and you can’t miss it. The view below is that which greets you before you descend to the bay. The beach in front of three cliffs here is actually cut off from the main beach as the tide comes in and therefore warrants its own name – Pobbles Bay. Pobbles is quite sheltered and our kids have been known to strip off and splash in the larger sand pools in the November sunshine, which caused me to think I was a bad parent at the time but doesn’t seem to have done them any lasting harm! This was our most common route to the beach after that first summer visit, often part of a winter dog/child walk and chosen for the warming beverage and delicious home cooked cakes at Three Cliffs Coffee Shop which rounded off our trip. Lunch at this compact and bijou eatery became a family tradition on Christmas Eve and we’ve never quite found anywhere local to us now to replace it, so enjoy it for us if you pass through! If you have visited this beach yourself I hope this has brought back some happy memories of your own. Perhaps you would like to share them in the comments section below. If you have lived a life which has not yet included Three Cliffs Bay, then perhaps it’s time to remedy that. Finally, the link below will take you to some jolly nice local accommodation (Gower Edge), the booking of which might be a good first move in that direction! Sylvia Mawby was lucky enough to live in Swansea for 19 years and her two (now grown up) boys were born and did a fair bit of growing up there. 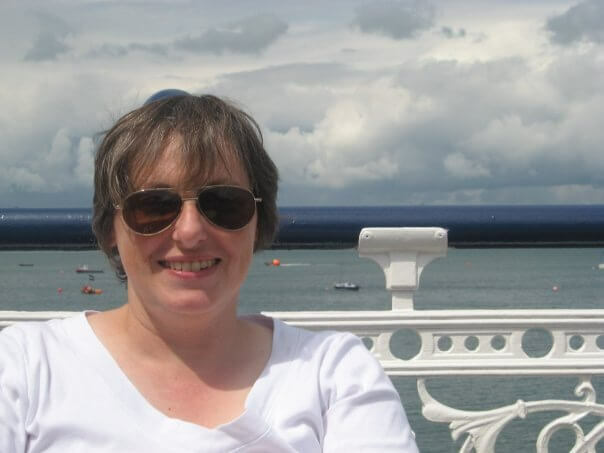 When the family moved to the Midlands for work she kept on the family home to run as the self catering holiday let Gower Edge. She still loves to visit the area and misses the sea terribly – especially when there’s marking to be done! Thank you for visiting the site. We hope you will go further and perhaps visit our self-catering property and the lovely Gower Peninsula in South Wales. 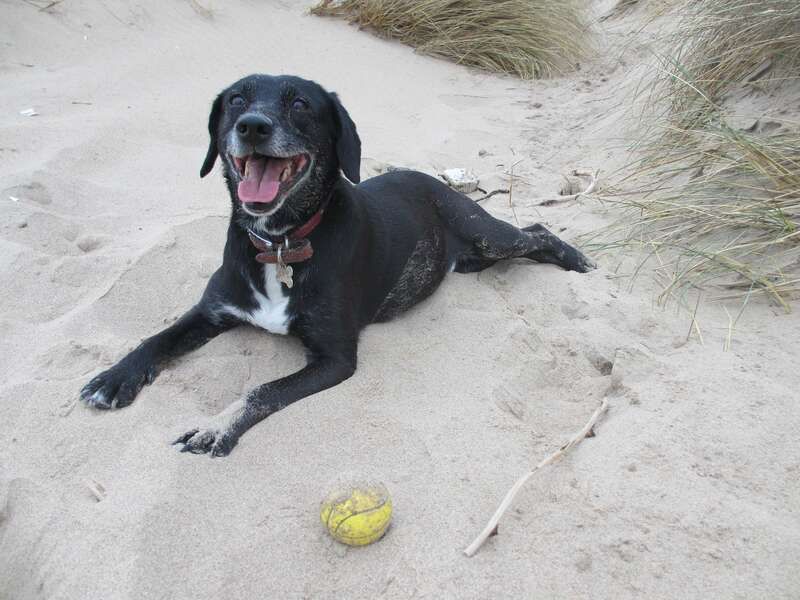 We run a pet friendly self catering property on the edge of the Gower Peninsula with easy access to Swansea Bay and Mumbles and if you are looking for a base for a short stay or a longer holiday we would love you to give us a look over and see if we might suit your needs. Gower Edge can sleep up to eight guests in four double bedrooms and we have three reception rooms downstairs so there is plenty of room to spread out. 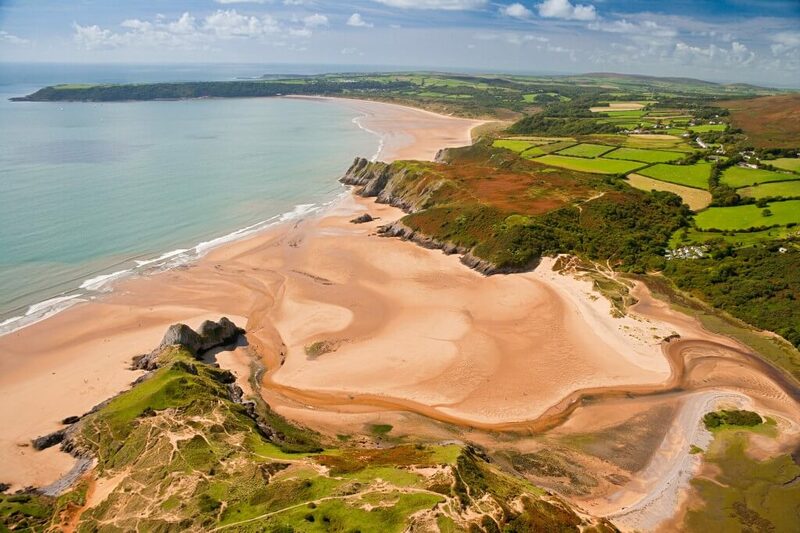 If you are not familiar with the area, the Gower Peninsula was the first designated Area of Outstanding Natural Beauty (AONB) in the UK and those who are lucky enough to have visited already will understand why. 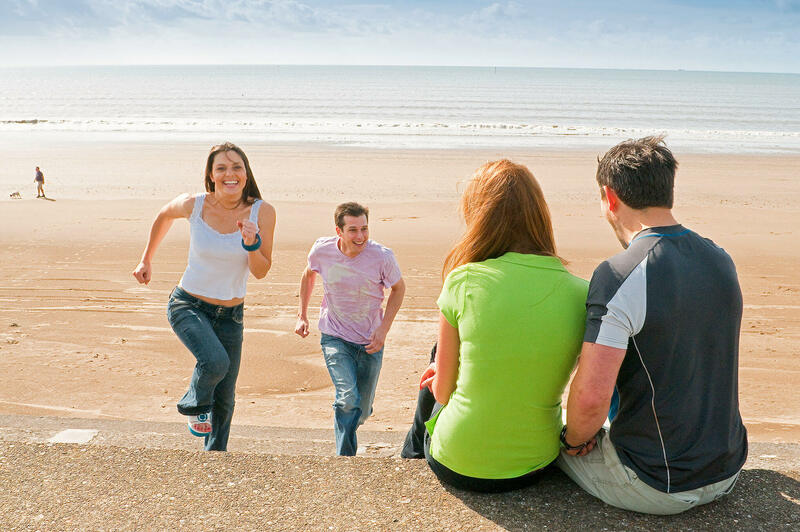 There are miles of beautiful sandy beaches along the lower edge of the Gower with amazing views across to Devon and down to Pembrey and beyond. 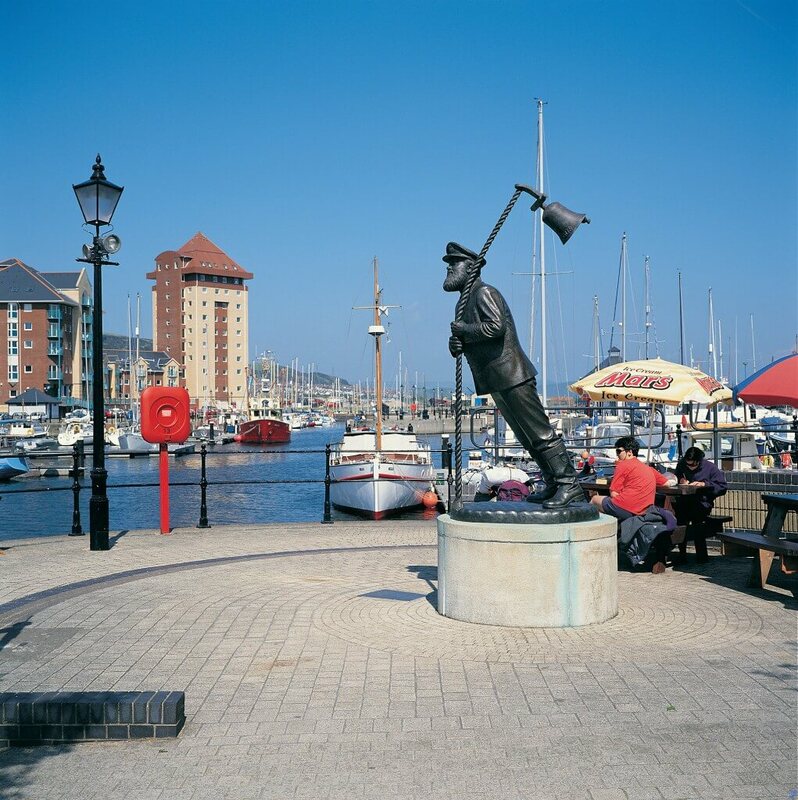 There is moorland and marshland, wooded areas and vibrant communities all within a small footprint jutting out into the Bristol Channel. 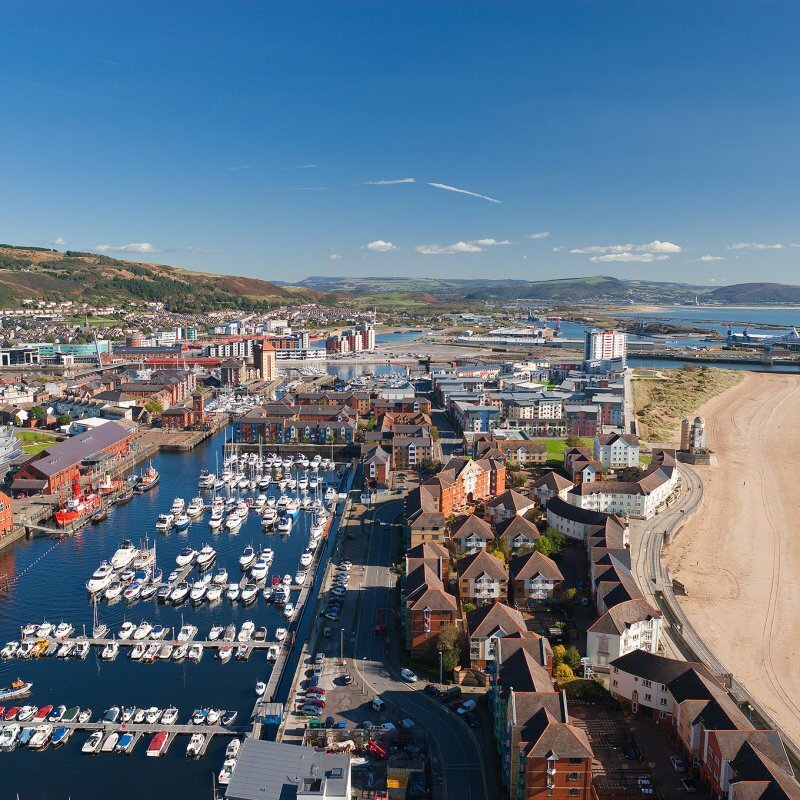 Swansea is the gateway to the Gower, a bustling, happy city with a wealth of heritage and an increasingly well known football team! 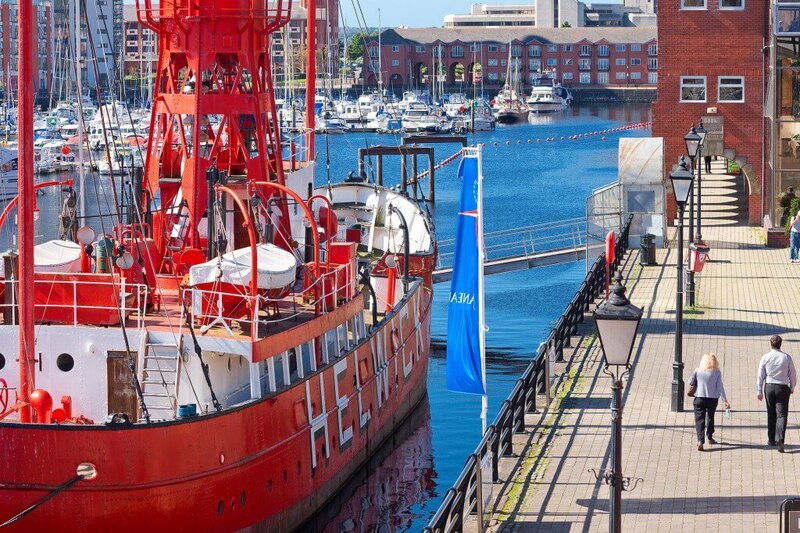 If a staycation is on the cards for you this year then make sure you consider this area for a visit. The word is out – we’ll see you there!